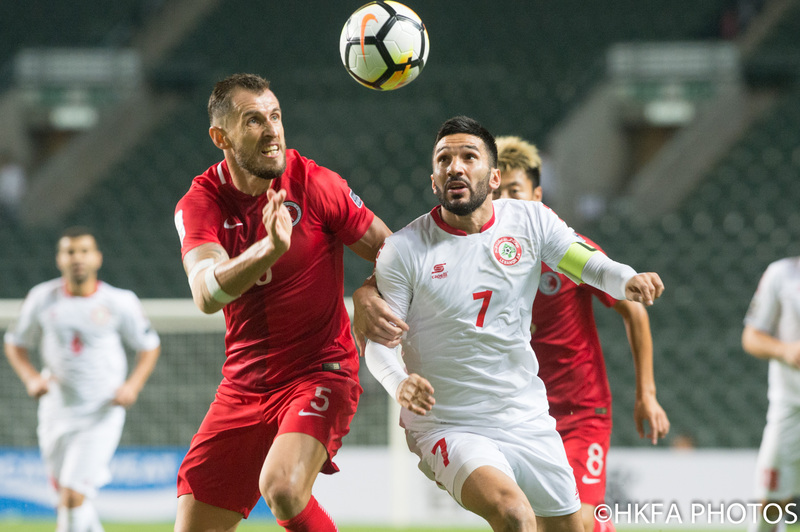 We always said that it would be difficult to qualify for the finals of the Asian Cup UAE 2019 - given the draw we were given – and so it has been proven. Now we have to travel to North Korea next March and win! That sounds improbable but I believe we can do it. In some ways it is better to go for a victory with nothing to lose rather than playing for a draw (which is what we would have needed had we won by two clear goals last night). My confidence stems from the fact that for the first 40 minutes we were clearly the better team and created some really good chances against the group leaders Lebanon. Unfortunately the game turned on one incident just before half time. I have said many times in this blog that referees are fallible human beings who make mistakes. I have watched the incident many times now and whilst I can see why he awarded a penalty (just) I am still mystified as to why he even thought it was a foul worthy of a straight red. I think most observers would agree that the officials made a mistake. The significance of that decision is wide-ranging. 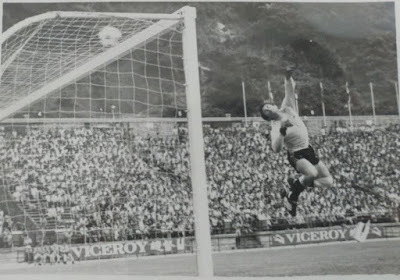 Putting to one side the psychological effect that it could have on a young player and the fact that it reinforces poor behavior by rewarding an overreaction by the attacking player, it directly affects our chance of qualification for a major competition, one that we haven’t qualified for since 1968. For a ‘developing’ Football Association the difference between qualifying and not qualifying for a regional tournament is massive. Qualification would be a benchmark for the undoubted improvements we are making. Failure to qualify gives ammunition to the sceptics who say we are making no progress. Furthermore it has a detrimental effect on our FIFA ranking and also on the eligibility of our Clubs to play in regional club competitions like the Champions League. So these factors impact materially on the development of the sport here in Hong Kong. 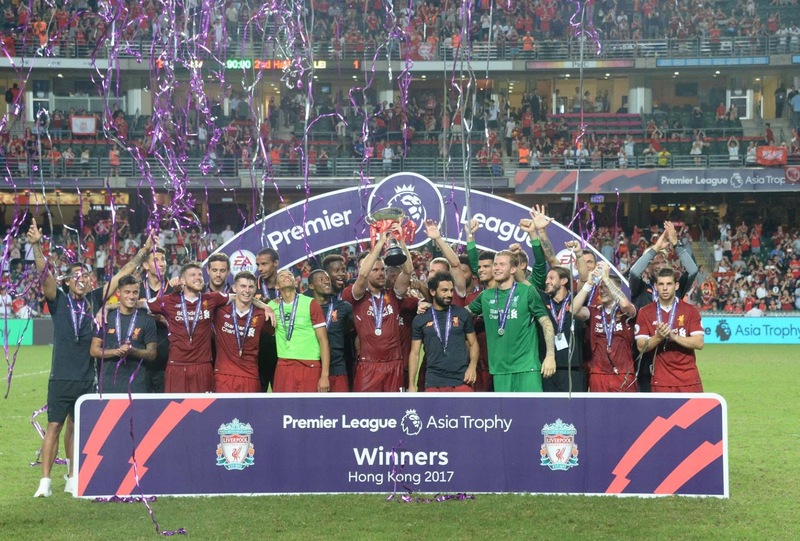 Qualification to the finals would be a massive boost to the sport and could determine whether or not funding partners continue to invest in football. It is that important and it is therefore frustrating when to some extent it hinges or is at least influenced by a poor decision. I am not exaggerating the significance of the situation and given that, now must be the time to introduce Video Assistant Referees (VAR) for important decisions relating to goals, penalties, straight red cards and mistaken identity in international competitive football matches. There is so much at stake now that we can no longer rely on fallible human beings. I sense a consensus moving in this direction too and a number of trials are currently taking place. VAR is only a matter of time. And whilst we are on the subject, let’s also introduce retrospective action for diving (as has been done in the English Premier League). Diving is prevalent in Asia as was exemplified the other night. One dive was so obvious that I actually laughed out loud (however the player wasn’t even booked). Some of these players must train in a swimming pool! Regular readers of this bog will know that I abhor time wasting, feigning injury, diving, simulation etc. It is beyond me why a team would do that when they have already qualified and are winning a match against ten men. I’m sad to say it but I just think that this sort of behavior is so engrained now, it’s become habitual. So we re-group, lick our wounds and use the disappointment as a motivator for our last match. We have improved so much recently and as I say looked the better team in the first 40 minutes when it was 11 v 11. Whatever happens I am proud of our team’s performance in these qualifiers and I am sure we can still go through to the finals. We will give it our best shot anyway you can be sure of that. Quite frankly it’s getting a bit tedious. 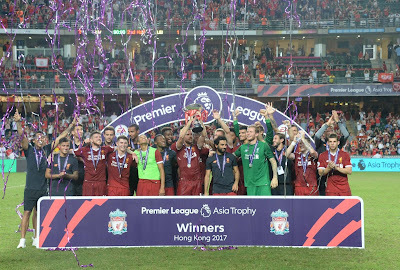 The fans who boo have made their point now and I’m pretty sure that if there hadn’t been such interest shown by the politicians and in particular the media, it would have stopped a long time ago. I can’t read most of the papers here but the ones I can read have stopped reporting on the football and are solely interested in the crowd behavior before the match which of course just encourages more booing. It’s a self-fulfilling prophesy, which I am sure the media knows and relishes. Last night one media outlet even had the temerity to broadcast the anthem live on TV from inside the stadium despite the fact that they had no accreditation to do so. They were not the approved broadcaster and should not have been showing a ‘live’ feed. It’s disgusting really that a so-called professional organisation believes it is OK to infringe the regulations so blatantly. Another sad trend is what I will call the ‘orchestrated anti-booing rent a crowd’, people who are apparently paid to come and oppose those who are booing. I don’t know who these people are or who is paying them but they are clearly not there to watch the football. They have no understanding of the game and even less interest. Last night I watched as they sat through the entire Lebanon anthem. Personally I find it more offensive to disrespect someone else’s anthem than your own. Someone should teach both groups some manners. This situation is a sad indictment on Hong Kong. Our beloved game is being hijacked (to the obvious delight of the media) as a political tool by both sides in a polarized, fractured society. It’s very sad that the action on the pitch is now seen by many as secondary to what is happening off it. Please if you’re not bothered about the football, just stay away. 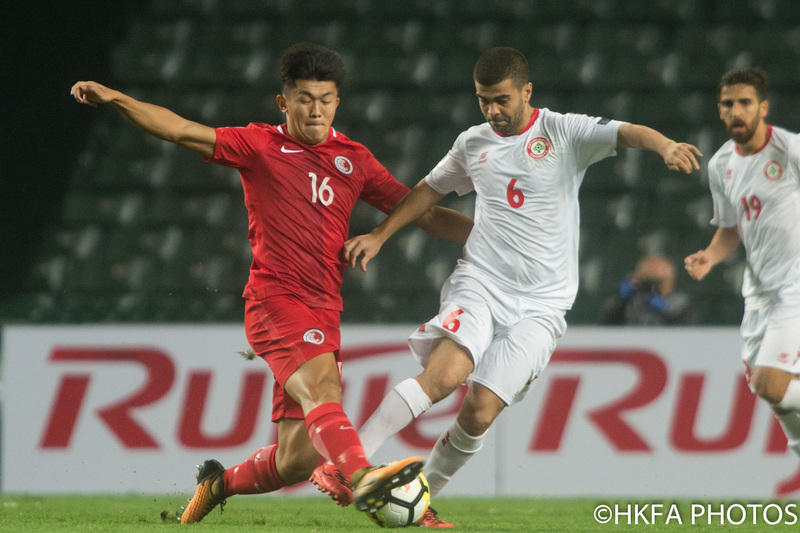 The HKFA will wait to see what action is taken against us by the AFC, for it is us that will be penalized once again. When I came to Hong Kong one of my objectives was to arrange more matches for the Hong Kong Representative Teams and that is what we have done. 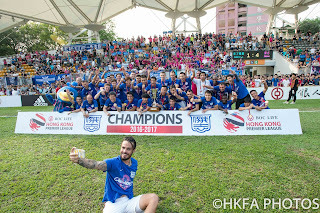 We have done this because we want to improve the standard of football in Hong Kong and also to give the fans some more interest and excitement. Considering what has happened recently, I think we could be forgiven for not hosting too many international friendly matches at home in the near future. There are no competitive matches lined up so we could just have a hiatus with no games if we wanted. However, we will continue to arrange matches to give our players experience and to reward the true fans. We will not give up and we will not allow negative interests to win. Football will prevail. 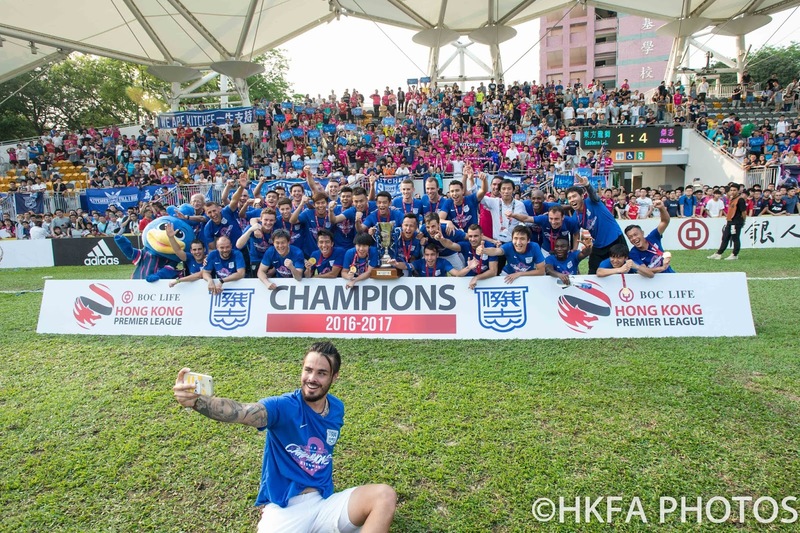 A few months ago I wrote a blog stating that I thought girls and women’s football in Hong Kong had turned the corner. 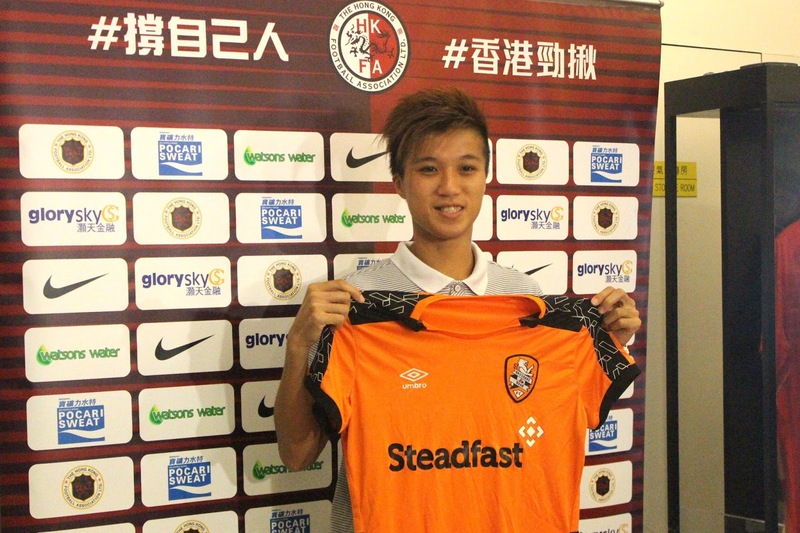 We have had another example this week and many congratulations go to Hong Kong Women’s Representative Team player Wai Ki for getting a professional contract with Brisbane Roar in the Australian W – League. This is a fantastic achievement and I wish her well. Over the last few years I have taken pride in watching her and others in her cohort developing from players with enthusiasm and potential into really talented footballers. 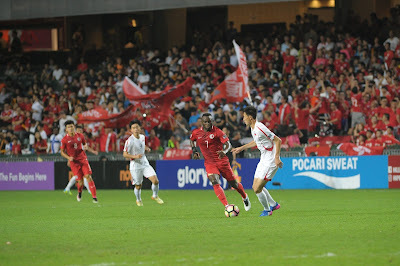 In that blog I highlighted how we had dominated the match against Singapore. Wai Ki was brilliant that day. I am so pleased that the girls and women are doing so well because their passion for the game is as intense as any male, as is their dedication and hard work. 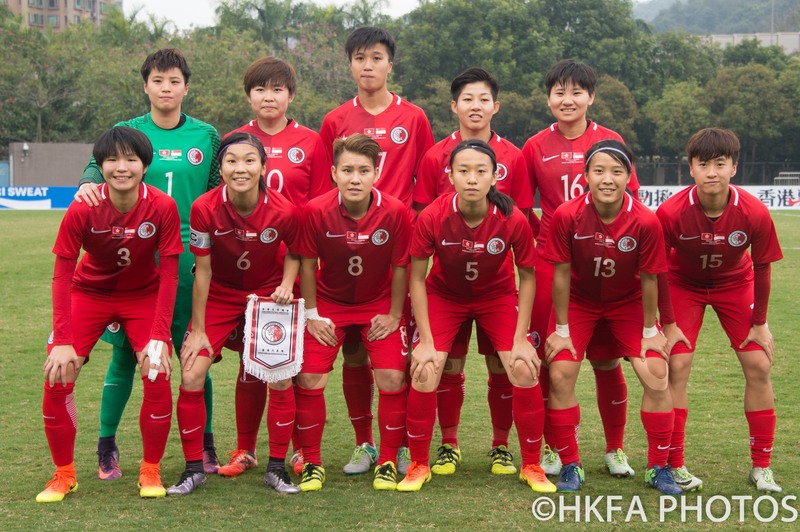 This success is all the more remarkable when you consider that it’s only about five years ago that the HKFA took over the responsibility for girls and women’s football. We now spend many millions of dollars on developing this side of the game. To some people it’s not important but to me it is fundamental. Girls and women have just as much right as boys and men to play football and they derive an equal amount of benefit and pleasure from playing. Girls and women’s football is the fastest growing sport in the world and Hong Kong is at the forefront of this change. 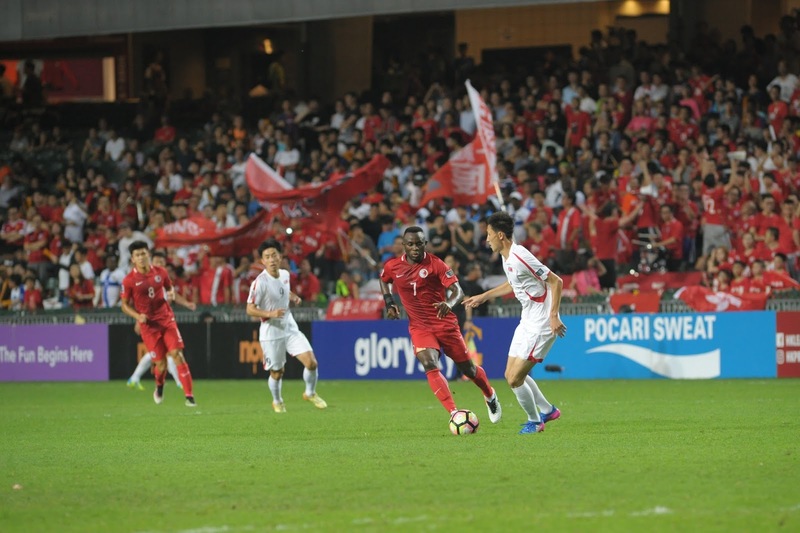 The phenomenal success of Coach Chan Yuen Ting and Referee Gigi Law are just two examples of Hong Kong’s preeminence. Most of the credit for this transformation must go to our Women’s Football Manager, Betty Wong. She has been involved in football for a long time and I was delighted when she decided to join us fulltime in May 2013. Since then she has established girls youth leagues, a women’s league and HKRTs at U12, U14, U16, U18 as well as further enhancing the senior women’s team. Betty has done an amazing job and we are lucky to have her. I hope that Wai Ki is the first of many ‘exports’ to professional women’s leagues because she will undoubtedly develop even more by training and playing at a higher level. This can only be good for us moving forward. It will not be easy for her either personally or professionally and we should give her as much support as possible. When I eventually look back on my time in Hong Kong I know that the growth of the women’s game, and the improvements we have made, will be one of the things that gives me most satisfaction. 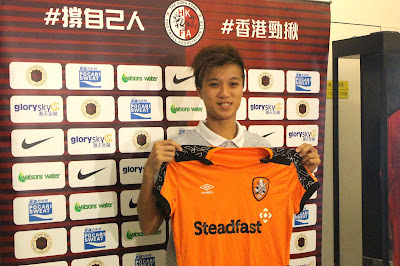 Good luck Wai KI, do yourself and Hong Kong proud. In 25 years time I will be 80 years old (if I’m lucky) and hopefully, I will be sitting in my ‘man-cave’ somewhere with a beer watching football, probably via some form of virtual reality. The question is; will the game be recognisable compared to the one we watch today? Since the extant Laws of Association Football were codified in 1863 they haven’t actually changed that much. 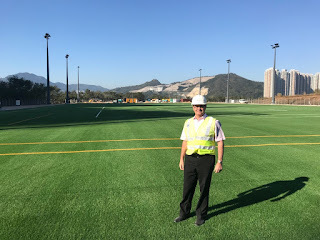 The International Football Association Board (IFAB), established by the four UK ‘home country’ associations, assumed responsibility for maintaining the laws in 1886 and they were joined in doing so by FIFA in 1913. Many people are surprised to find out that there are only 17 Laws of the game and since the original codification, only minor amendments have been made. So for example, astonishingly yellow and red cards were only introduced in 1970! The ‘back pass’ law has only been part of the game since 1992. These were controversial amendments at the time but are now simply accepted. The IFAB credits itself with a ‘major revision’ in 2016/17 describing the amendments as ‘far-reaching and comprehensive’. Really? How many changes can you name? ‘Minor tweaks’ would perhaps be a more accurate description. It’s amazing really that so little has changed in over 150 years. More amazing when you consider how much else has evolved during that period of time in virtually every other aspect of our lives. However, I sense that the pace of change is set to increase. The ‘new’ FIFA seems more inclined to innovation and is more influential on the IFAB. The potential introduction of the Video Assistant Referee (VAR) is a good example. Incidentally, I was staggered to see Maradona quoted on the FIFA website as ‘laughing and smiling’ about how his infamous ‘hand of God’ goal would have been disallowed if VAR had been around in 1986. FIFA, answer me this, since when has blatant cheating been a laughing matter? Condoning this sort of behaviour is not helpful (even if the incident was 31 years ago and yes, I am still bitter about it). A few years ago I was a luddite (traditionalist) and didn’t want to see VAR, fearing that it would disrupt the flow of the game. I believed we had to accept that referees were human and would make mistakes but ultimately fairness would balance out over the course of 90 minutes. I have changed my mind now partly because we have seen it used to good effect in most major sports and goal-line technology has been used successfully. Furthermore there have been many incidents that have changed the course of a match such as Thierry Henri’s deliberate handball against Northern Ireland, Luis Suarez’ ‘save’ on the line against Ghana and Frank Lampard’s disallowed goal against Germany. All of these were World Cup related matches, and with so much at stake now it is difficult to argue against VAR. Limited use of VAR for major issues such as goals, penalties, red cards and mistaken identities is being trialed which so far has been a success. I am sure it will be implemented into the Laws come the World Cup in Russia. IFAB has said that individual Football Associations can use their discretion to introduce other changes at the ‘grassroots’ level such as yellow card ‘sin bins’, extra substitutes, rolling (return) substitutes (especially for injury assessment) etc. I think this is a good direction and wouldn’t be at all surprised to see some of these progressions brought into the Laws governing top flight football. Regular readers of my blog will know that one of my biggest bugbears in football is time wasting. It is so irritating. It is only a matter of time until the ‘stopwatch’ system is introduced. It works perfectly well in futsal, rugby, basketball etc and I can see no reason why it should not be adopted in football. If the clock stops every time the ball is not in play then it would immediately eradicate all of the time-wasting antics. I have heard that, based on current research, this may be two x 30 minute halves! That just shows how much fans (who pay for 90 minutes) are being short-changed at the moment. In my opinion 40 minutes per half (as in rugby) would be better. Let me just throw out a few more ideas. The pace of the game has increased dramatically and it is now much more difficult for referees to keep up with play, to spot all infringements and to make decisions whilst under fatigue. Why not have two referees, one in each half? There are three referees in basketball and goodness knows how many in American Football. Another thing that works well in rugby is the fact that only the captain is allowed to speak to the referee. That, coupled to the ‘sin-bin’ would stop the petulant dissent. Another more radical idea would be to reduce the number of players on the pitch to 10 or increase the size of the goals. Why do I say that? Here are some interesting statistics for you. The average number of goals per game at the world cups held between 1930 and 1958 was 4.27. The average since 1958 is 2.6 goals per game. Between 2010 and 2014 the average number of goals per game in the top divisions in England, Spain, Germany and Italy never exceeded 3 across the whole season. No-one wants to watch a boring nil-nil match. When I was growing up the playing formation was 2-3-5. Now it’s 4-4-2 or 4-3-3 and usually ends up as 5-4-1 or even 6-4-0. The average size and athleticism of players, and goalkeepers in particular, continues to increase and yet the goals remain a quirky 8ft x 8 yards or 2.44m x 7.32m. 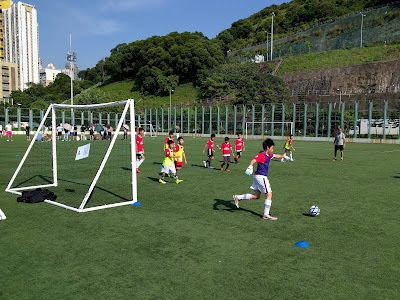 A 3m x 8m goal or fewer players (meaning more space) would make things a lot more exciting. Our sport has to evolve and move with the times. I don’t advocate wholesale change but rather regular, iterative ways to make the game more entertaining and exciting whilst removing the less appealing aspects such as time-wasting, simulation, diving, dissent etc. If I get to be an octogenarian I hope I will be able to watch a game of football that has retained its core principles and inherent ‘beauty’ but also one that has used Law changes to good effect. Time will tell.